The last day to register to vote in Texas for the upcoming November 8 General Election is Tuesday, October 11. Prospective Texas voters still have time to register. Applicants who are not able to visit a voter registrar’s office can get an application online from the Texas Secretary of State website, complete it, and have it postmarked by October 11. Those who want to vote in the November election may also register in person at their county voter registrar’s office. In the majority of the counties in the Lone Star State, the tax assessor-collector is also the voter registrar. The county clerk or election administrator registers voters in the remaining counties. Texans can obtain an application from these locations, or can print and complete it before hand-delivering at the appropriate government office. All voters who register to vote in Texas must provide a Texas driver’s license number or personal identification number issued by the Texas Department of Public Safety. If you do not have one of these numbers, you may just provide the last four digits of your social security number. If you do not have a social security number, state that fact on the application. 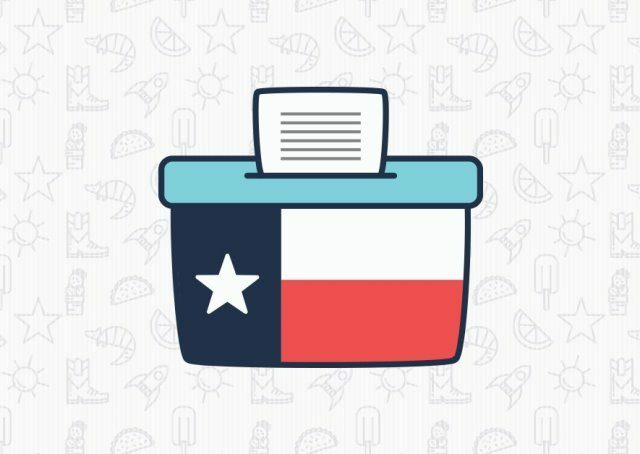 If you think you are already registered to vote, you can confirm your voter registration status by clicking on this link on the Texas Secretary of State website. With the exception of the U.S. citizenship certificate, the identification must be current or have expired no more than 4 years before being presented for voting at the polling place. Election Identification Certificates may be obtained from DPS driver license offices during regular business hours. Those without any of the above listed documents proving identification will be allowed to complete an affidavit attesting to their identity, assuming they provide an approved, alternate ID.